Update 3:51 p.m.: The Telluride Film Festival has canceled Friday night’s scheduled screening of the Aretha Franklin concert film “Amazing Grace” per a U.S. District court ruling in favor of an emergency injunction filed by the singer. The festival will run the film “Sherpa” in its place. Three screenings of the film are slated for release at the upcoming Toronto Film Festival, starting Sept. 10, and Franklin’s lawyers told TheWrap that they’re weighing their options concerning how to proceed. Representatives from the Toronto Film Festival did not immediately respond to TheWrap’s request for comment. Previously: U.S. District Judge John L. Kane authorized the order during a hearing in Denver hours before the documentary was to be screened. 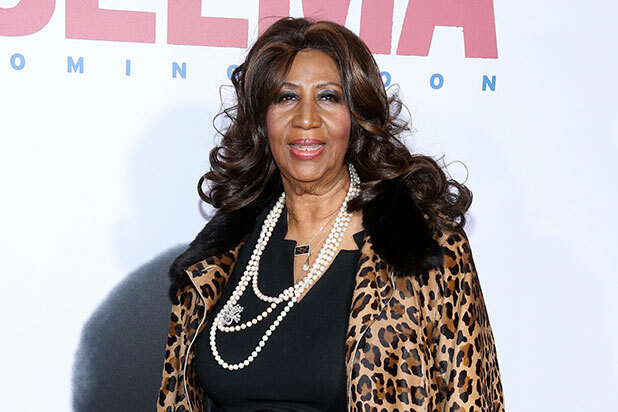 The Associated Press reports that Franklin testified via telephone from Detroit that she has long objected to the public release of concert footage used in the film. Earlier on Friday, the R&B singer had filed a lawsuit against the festival for emergency injunctive relief to stop scheduled screenings of the documentary, the first of which was slated for Friday at 7:30 p.m. local time. Festival organizers have not returned TheWrap’s request for comment. The film’s producer, former record producer and current UCLA lecturer Alan Elliott, told the Los Angeles Times last month that Pollack “wanted me to finish the film after he died.” Elliott pursued rights to the footage, which were granted by Warner Bros. Music via quitclaim deed in 2008, conditional on Franklin’s express permission. Franklin states that she learned “Amazing Grace” would be screened in its full length at the film festival. The lawsuit claims that “allowing the film to be shown violates Ms. Franklin’s contractual rights, her intellectual property rights, her rights to use and control her name and likeness, and represents an invasion of her privacy.” It also violated the federal anti-bootlegging statute.